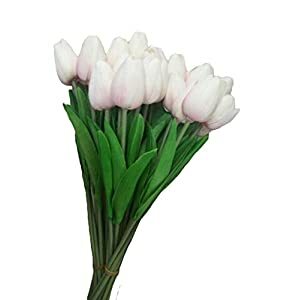 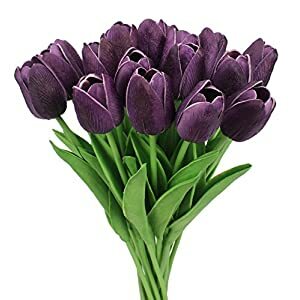 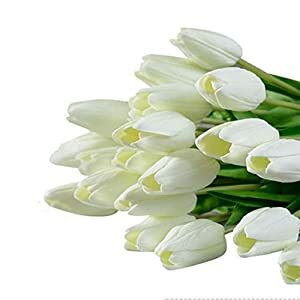 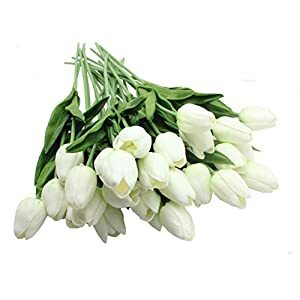 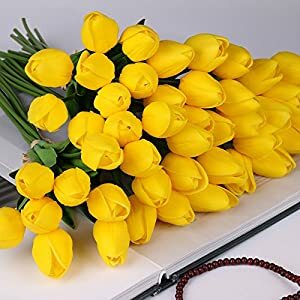 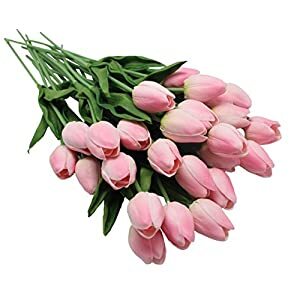 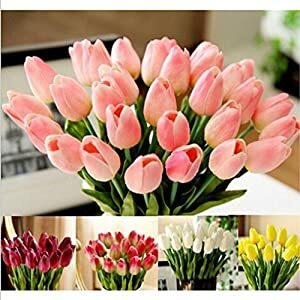 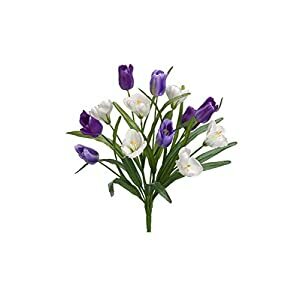 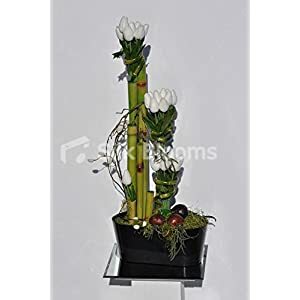 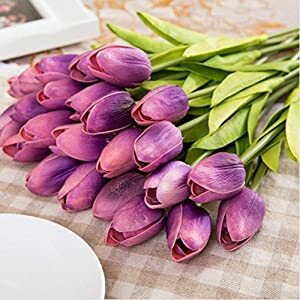 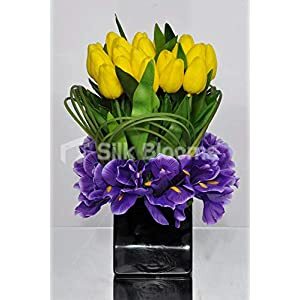 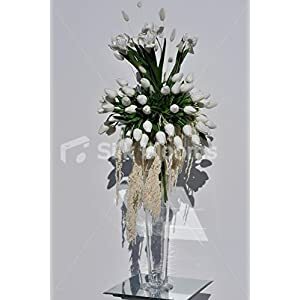 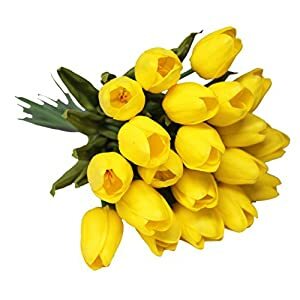 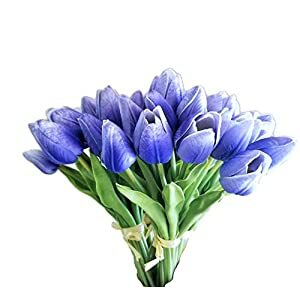 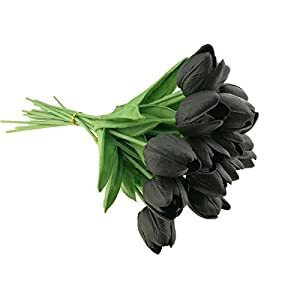 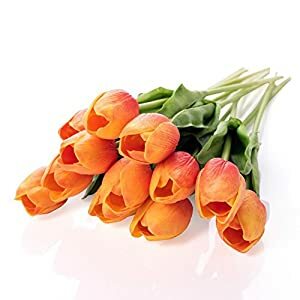 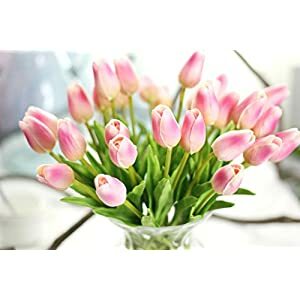 Silk tulips flowers – technical name Tulipa, are large and beautifully show. 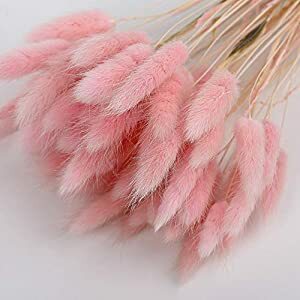 The name is thought to come from the Persian word for turban – which it resembles. 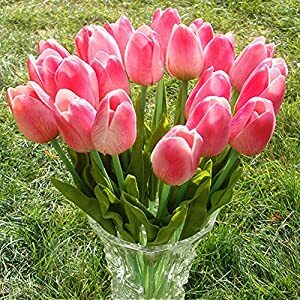 In the wild is found from Central Asia to Southern Europe. 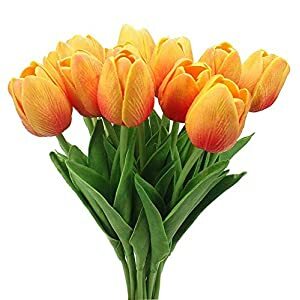 Heard of the Netherlands Tulip Mania? 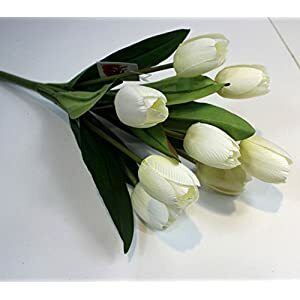 That is when they really took off in Europe and are still associated with the Netherlands. 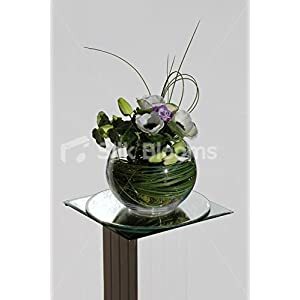 A centerpiece can be used when you want to make a real impression. 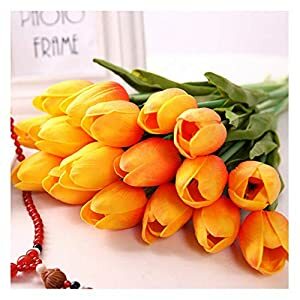 We supply a wide range of colors from white to orange and more. 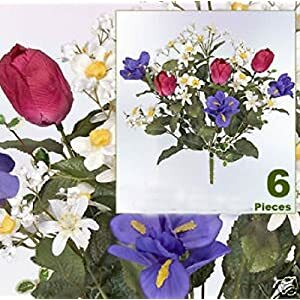 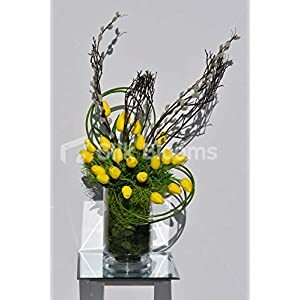 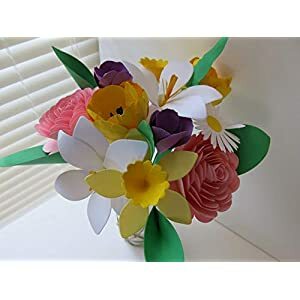 They are in bunches, centerpieces and mixed with other flowers. 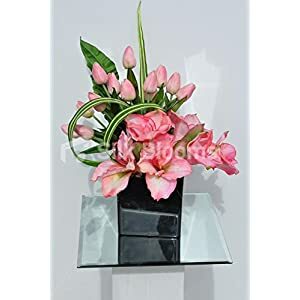 Can be used in your home, your room or of course your office. 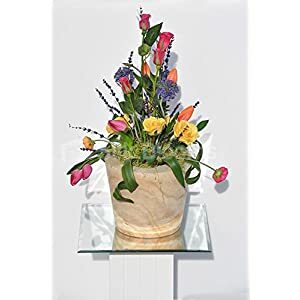 Think of your entry way or your living room and think of that sophisticated look! 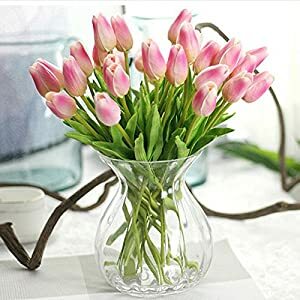 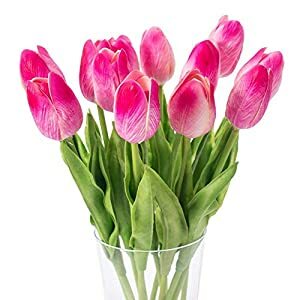 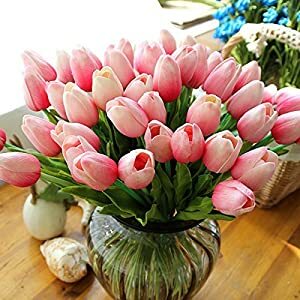 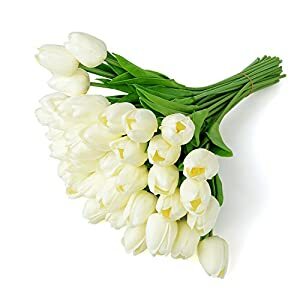 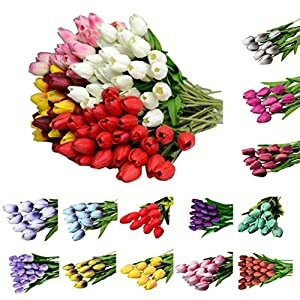 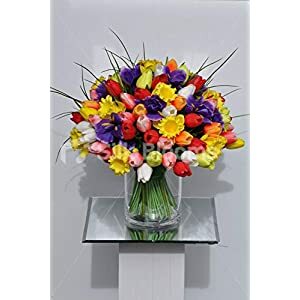 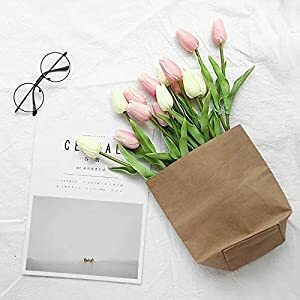 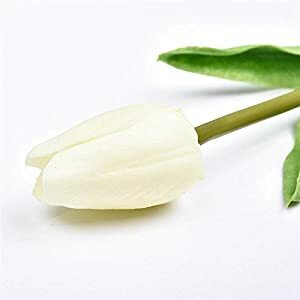 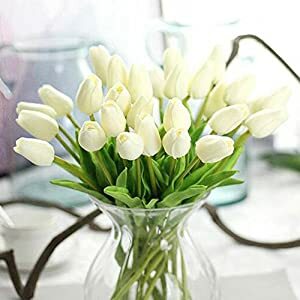 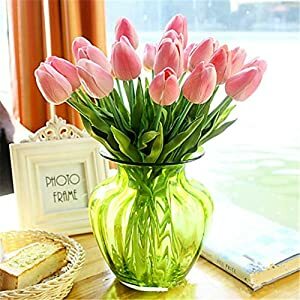 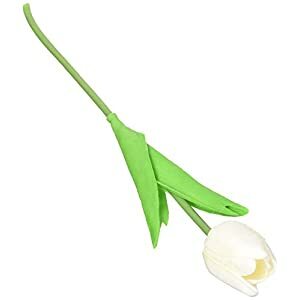 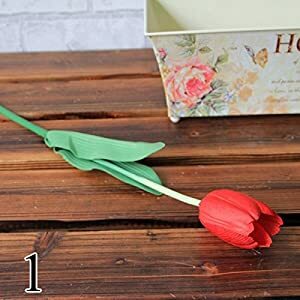 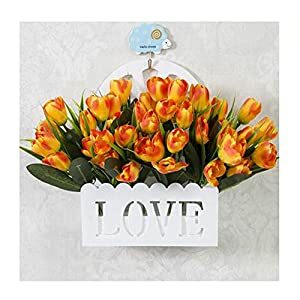 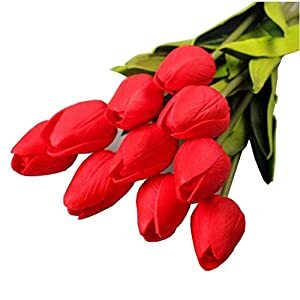 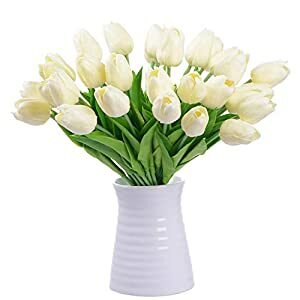 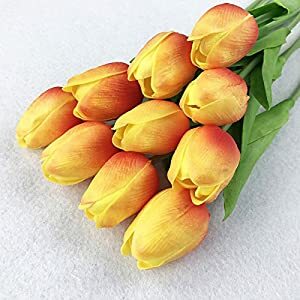 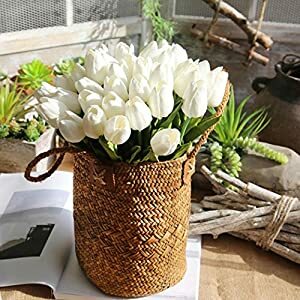 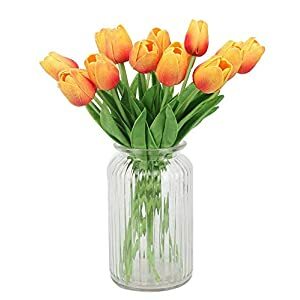 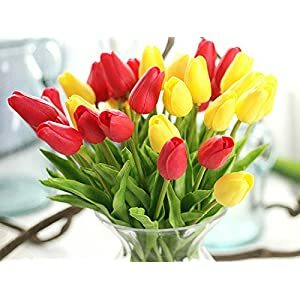 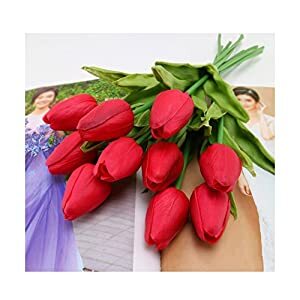 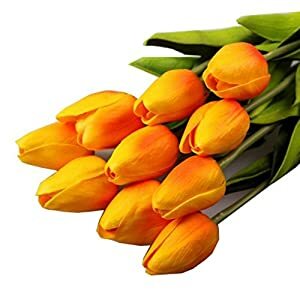 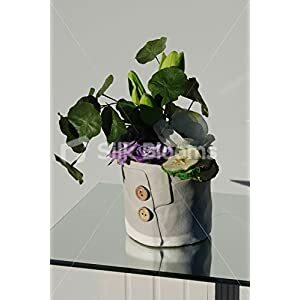 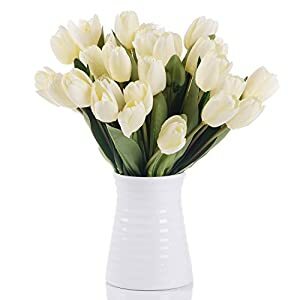 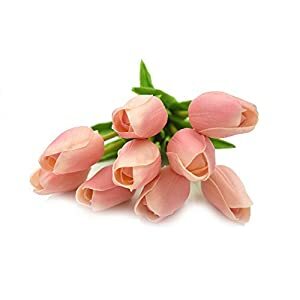 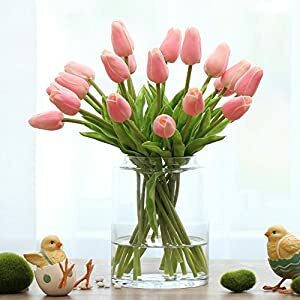 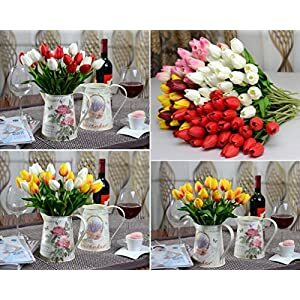 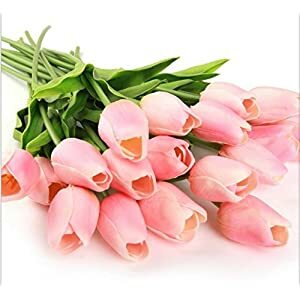 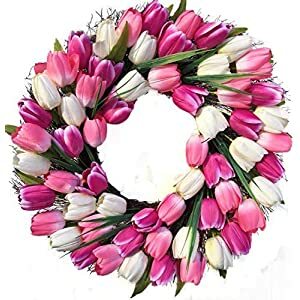 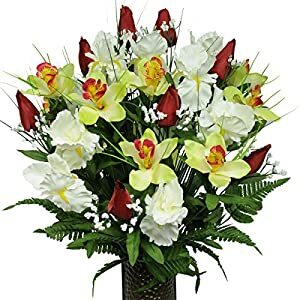 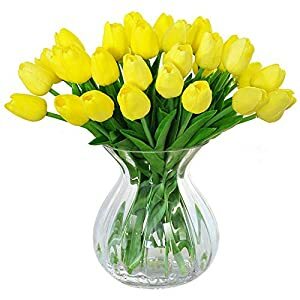 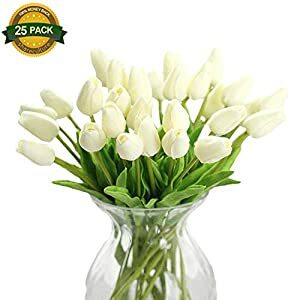 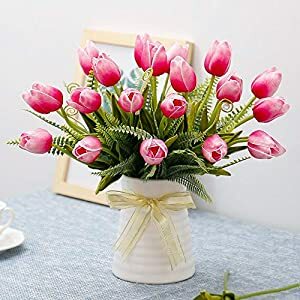 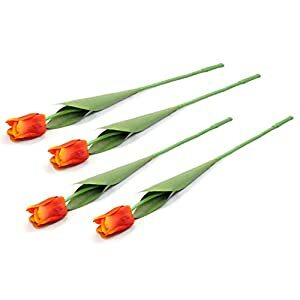 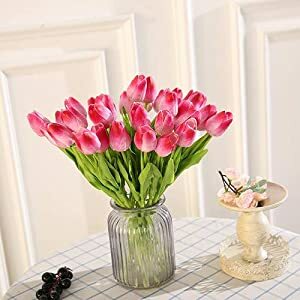 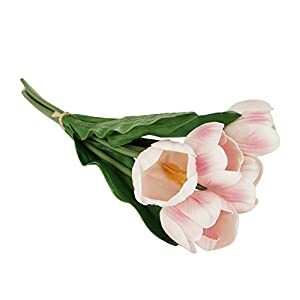 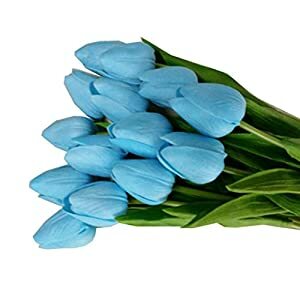 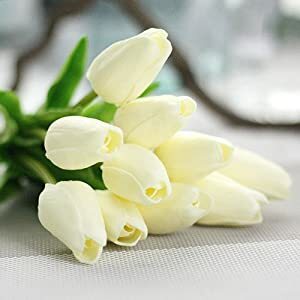 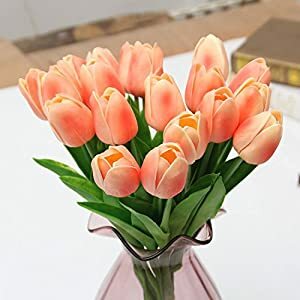 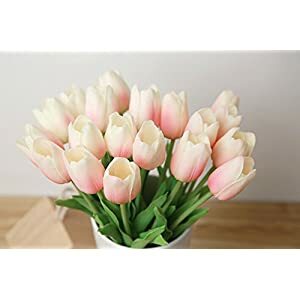 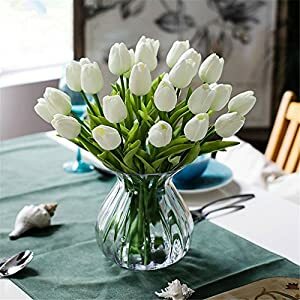 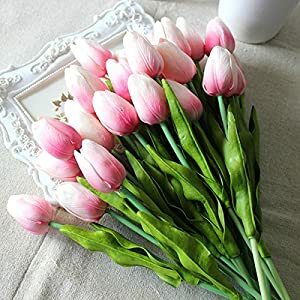 Tulips are one of the most popular types of spring flowers of all the times, and they occupy the third place of the most beautiful flowers in the whole world. 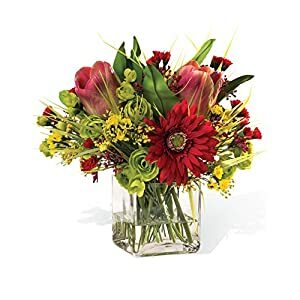 They are just too elegant, too romantic and simply said – too beautiful. 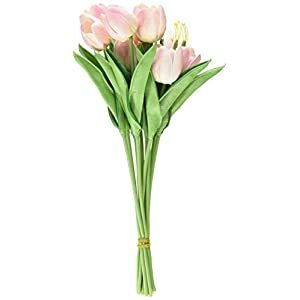 Tulips are always just the right choice for many occasions and decorations. 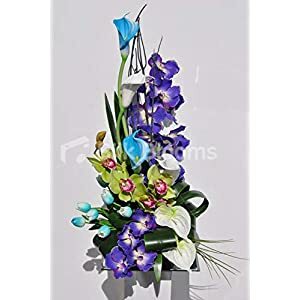 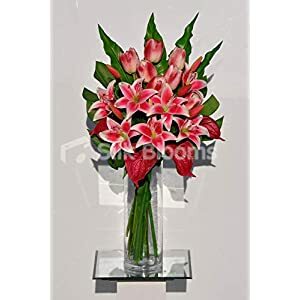 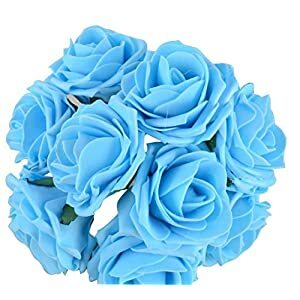 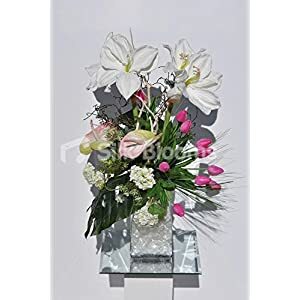 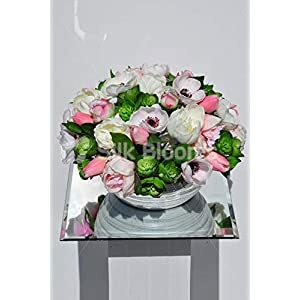 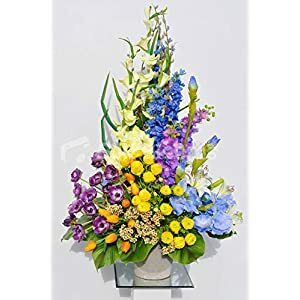 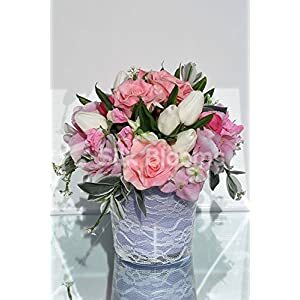 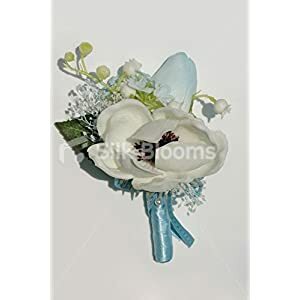 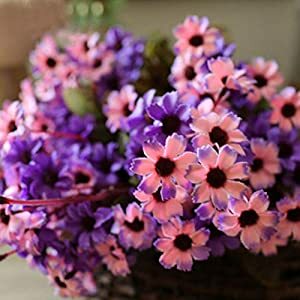 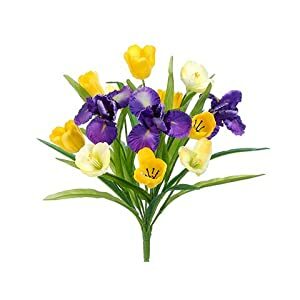 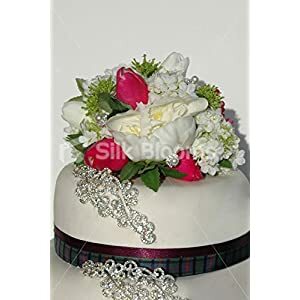 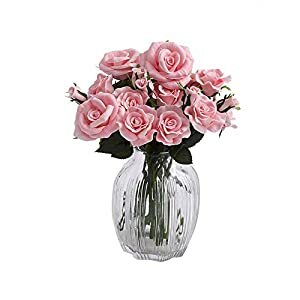 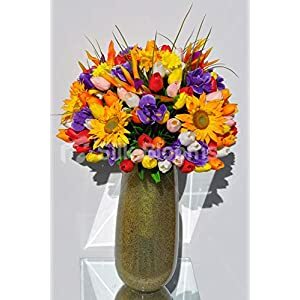 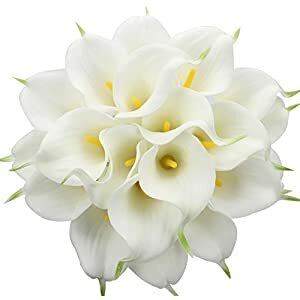 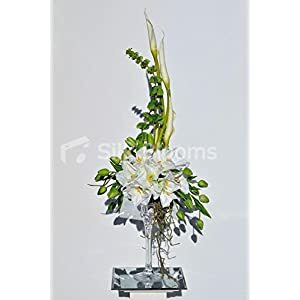 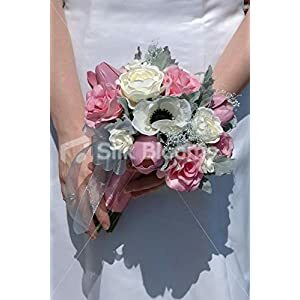 If you decide on this particular flower that is available in many colors, with its simple elegance and sophistication it will certainly contribute to the beautification of your big day. 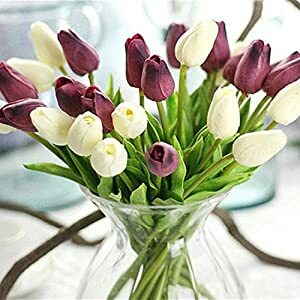 You can never make a mistake with tulips, no matter what color you decide to choose. 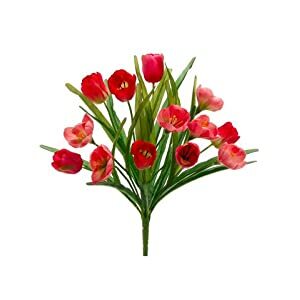 You will find our prices are highly competitive, delivery fast and above all – quality!